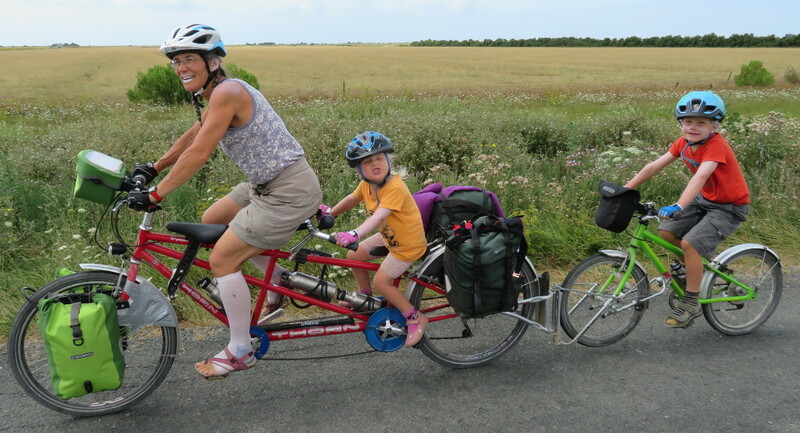 With Rosie now too heavy to carry far, but not able to walk more than a few miles, we decided that this year we would go for a cycle tour. 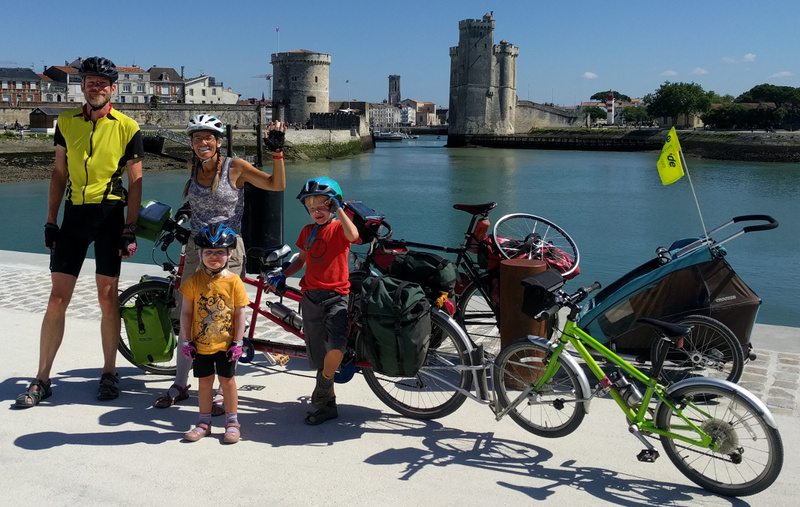 The Velodysse down the Atlantic Coast of France sounded ideal, decent cycle paths on minor road or off road, beaches and plenty of campsites. Rosie was four and happy to ride the back of the tandem, Ian was seven and keen to ride his own bike but not ready for traffic. The full route goes from Roscoff in Brittany to Biaritz on the border with Spain. Sadly we didn't have time for that. Julie and I had already ridden the Brittany section and Nantes-Brest Canal, so we decided to start near Nantes and head south. 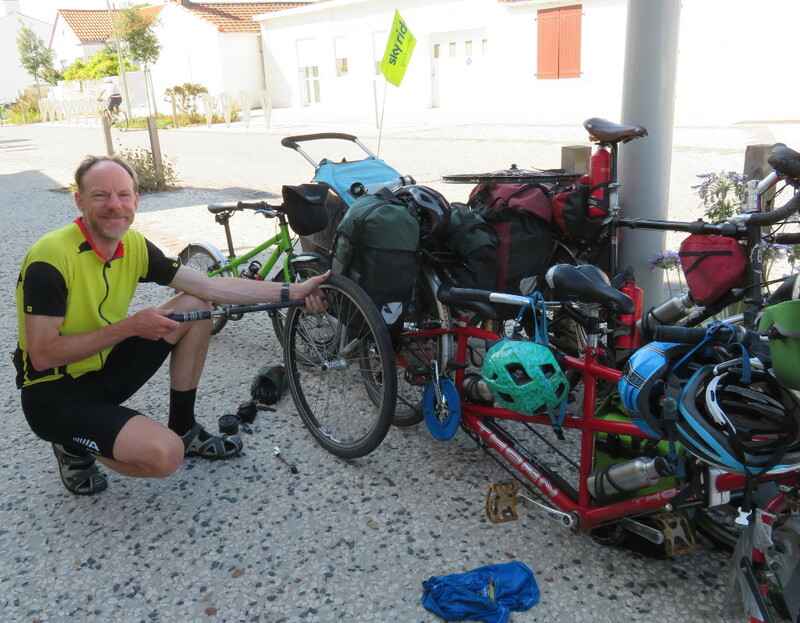 We drove out from England with the bikes on roof rack and left the car at the first campsite, Les Hermitage des Dunes. 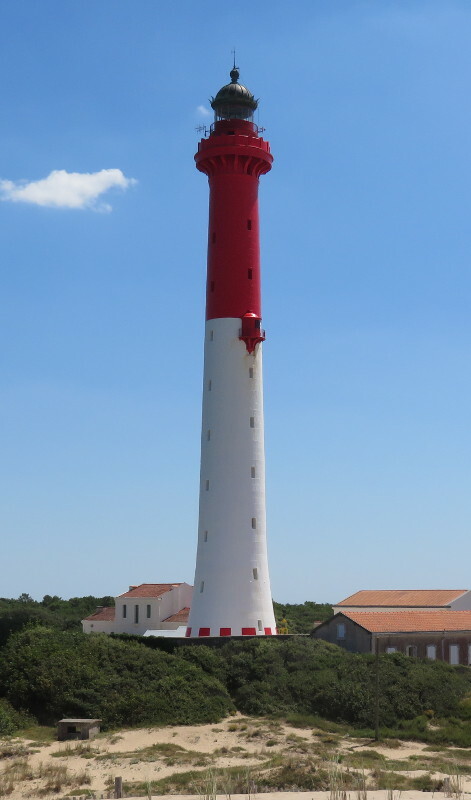 The first leg was the Ile de Noirmoutier, and a trip to a bike shop because Julie's front hub went tight and loose at the same time. We headed down the coast for two weeks. Sometimes the route was on minor roads and we could stop and buy "Moules de Bouchot". Other times it followed disused railways or a canal, and other times it was along the sea front past the ice cream shops. Mostly it wasn't hard to find a campsite, sometimes we rang ahead, particularly if there was only one, and a few times we camped in the woods near the cycle path. 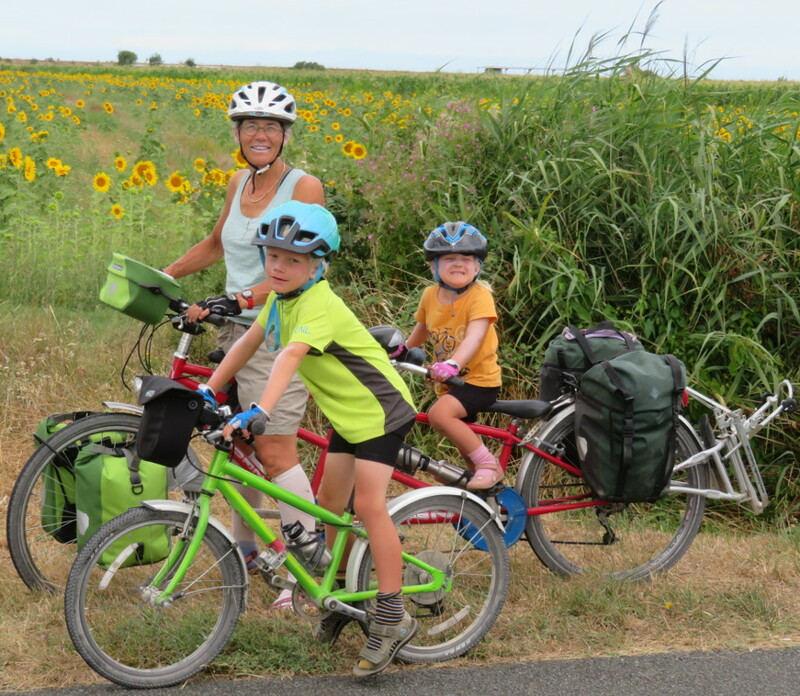 Our favourite campsite for cyclists was Camping La Verger, a little NE of La Rochelle. It was a basic Aire Naturelle campsite, but had everything a cyclist needs, such as a picnic table to cook at, and a small shop selling essentials such as cidre. We ended the trip at Royan, a distance of about 450km. I got the train back to Nantes and retrieved the car, and then we loaded up for the long drive home. By Royan the weather was starting to really heat up, to go any further south in August would have been pretty uncomfortable.